It’s extraordinary to witness the opportunities individuals have in the United States of America. I wish many other countries would have similar opportunities. I feel very strongly about public education and feel that if a good education system was put in place for the majority of the world, the value people would experience can be limitless. If I had the opportunity, I would have heavily invested in education within emerging and low-income countries and inspire those people to make a difference for themselves and for their communities as well as for their native countries and the world in general. I had the pleasure to interview Aydin Karadeniz. 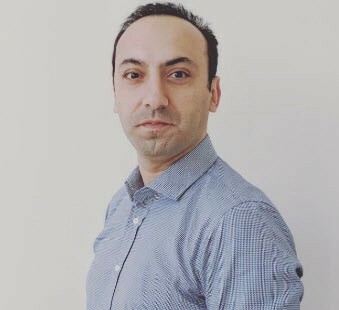 Originally from Istanbul, Turkey, Aydin moved to United States at the end of 2003 to work at a start-up company called Expertcity which is known for its software product called “gotomypc”. Expertcity was looking for an affiliate marketer to enter into the German market and due to his previous experience in Germany as well as his German speaking skills, he was hired by Expertcity and moved to Santa Barbara, CA. Expertcity was later acquired by Citrix and renamed as Citrix Online. Aydin developed a deep understanding of online marketing at the very early stage of dot com. A few years later, the skills and the knowledge he gained allowed him to start his own company called surfmyads.com. Aydin is currently the Founder & CEO of surfmyads.com, Inc. which owns and operates various online coupon sites such as Promocodes.com, Codes.co.uk, Coupons.ca, and Discountcode.com. The company, established in 2006 in Santa Barbara, is known as a global coupon provider and is headquartered in Santa Monica, California with offices in Coeur d’Alene, Idaho, Istanbul, and London. Thank you so much for doing this with us! Can you share the funniest or most interesting story that happened to you since you began leading your company? When I started surfmyads.com, Inc., I was about 25 years old and had been in the US for only 2 years, so I still had a lot to learn about the country’s culture and the people. That said, I was searching for my company’s first hire, which was a Senior Content Manager. I remember how the interview with the first candidate went — I was nervous, sweating and had difficulties even asking questions, yet I was the one who was supposed to hire her. My inexperience was extremely evident. I sent her a job offer via email and she declined, and I couldn’t blame her. I was having trouble sharing my vision during the interview. When I look back at that moment now, it always reminds me of the long journey that it took to get me to where I am today. This is a perfect example of why people say the only thing you can’t buy is an experience. You just need to live, experience, make mistakes, learn and grow. Collaboration and Communication is an on-going process, you try, learn and get better as time goes by. In my company, it is important that the departments like content, PR, social media, search and account management work very closely. We have weekly department meetings in place, so the departments can go over their initiatives and updates together and brainstorm. Additionally, we promote a collaborative environment where team members feel comfortable going to each other’s offices and discussing potential opportunities. When it comes to the few key roles in the company, I try to create additional time with those team members daily or weekly to make sure we are all on the same page with the progression of the company initiatives. We have an engineering office located in Coeur d’Alene, Idaho with 5 engineers work. That office was established by the leadership of a lead engineer who I have been working with very closely for the past several years. There is a mutual trust in place which makes it easier to communicate and tackle our objectives, even being in different offices. One of the company’s Chief Officers travels from our LA office to the Coeur d’Alene office once per quarter to make sure we are all on the same page with quarterly goals and monitoring progression. Our other office is in Istanbul, Turkey which has about 12 team members who are an extension of our Coupon Optimization Team. Those team members are monitored based on measurable data. We have also built internal applications that makes monitoring workloads and progress much easier. Additionally, we have an account team member who is based in London, UK. Our US and UK team members meet weekly via Skype conference calls, which is helpful to make sure we’re all on the same page. I personally come into work very so I have more available time for the international team members. As a result, building internal applications, using online meetings and making some adjustments in the meeting times as well as work-hours has enabled us to work smoothly on an international level. First, make sure to make smart hiring decisions and onboard people who you truly feel will help you to reach your company’s goals. Let your team take initiative and support them when they come to you with their ideas. You may end up disapproving of many of those ideas, but it makes a big difference to create a welcoming environment where people bring their own strategies to the table. If they know you are open minded, they will keep coming to you and even just one idea out of hundreds may have a big impact on the progression of your organization. Promote and move the ones who are making a difference considering the hard work they put in. Create and Strengthen the communication/collaboration channels between individuals as well as the departments so the flow of the information can spread around which ultimately helps your organization move at a faster pace. Discontinue the working relationship with anyone who is not moving the company forward, but rather, is negatively affecting the jobs of others. Do not forget it takes only one staff member to take the whole morale and energy of the company down. Create opportunities for the ones who put in a good deal of effort. This sets the bar for all employees and lets them know that you will recognize hard work and dedication. Always value individual achievements and create and find connections to further those accomplishments as a collaborative effort. It is expected that managers spend time with their teams to train and grow them and get them motivated to excel at their job. On the other hand, it is expected that staff members work hard, make an effort, and make a positive impact on the company. Whenever things don’t go right, finger-pointing tends to happen, but at the end of the day, what I believe in the most is that if an individual quality that an individual has to possess in order to make a difference for the company. In my organization, I encourage any team members to come and talk to me directly, I encourage team members to take initiatives and grab the opportunity as much as they can to show everybody how much they make a difference and value this organization. Make yourself important. Make what you accomplish daily not easy for others to reach. Make yourself not replaceable. Then you will witness that not only your manager, but no one can stop where you are meant to go. -Know your Team Members well (their weaknesses and strengths) as well as what is important to them. In addition to the default goals and tasks each department has, there are often new projects and tasks arising. It is important to delegate those new tasks to the right people to get maximum results in a short time. That’s why it is important that you know the skill level and capabilities, as well as what motivates each team member. For some employees, it is all about financial incentive, for some, it is a recognition and a simple “thank you”. Understand what the most valuable thing for each of them is, so you can customize your approach accordingly as a leader. If you have a team with very similar characters and opinions, it gets difficult to come up with creative ideas and approaches, which is why it’s important that you create a team comprised of diverse backgrounds. When there’s major decision to be made, I often gather ideas from team members and make my final decision according to what I believe is the right next step. Often times I let my team members go with their own decisions, as I want to make sure they will continue to come to me with ideas and never feel discouraged. At the same time, I want them to learn and grow by executing their own ideas. If the move ends up being not right for the company, the employee will also learn and grow and be better prepared for future decisions. If you manage to recruit staff members who work hard, make a lot of efforts and really try to make a difference for your company, these individuals are typically good at self-motivating due to the competitive spirits they have. It is important to note that while creating a competitive environment can be motivating, there needs to be a good balance. If the team members start seeing each other as competition, then the information sharing channels as a whole can be affected negatively, which may cause bigger problems for the company in the long run. Make sure to share a common goal to keep employees collectively engaged while also working to achieve individual metrics. The hiring process is crucial. My company made a lot of mistakes in the past and we are still learning and developing new ways to reduce the risk of hiring the wrong person for our organization. If you have even one hiring mistake, the businesses chain of strength can be negatively impacted, and the company may suffer as a result. So, before you start building your strategies about how to manage your company and its goals, make sure you have all the right people under your wing first. I live my life based on a saying, it goes something like this: It is okay if you cannot reach your goals. But it is not okay if you cannot DREAM what you are capable of reaching. As an immigrant who has experienced many financial ups and downs in the past, I believe that everything starts with a dream. I always had big dreams and I always will. No matter how difficult it is to reach those dreams, do not let yourself hesitate one second. Just go for it!